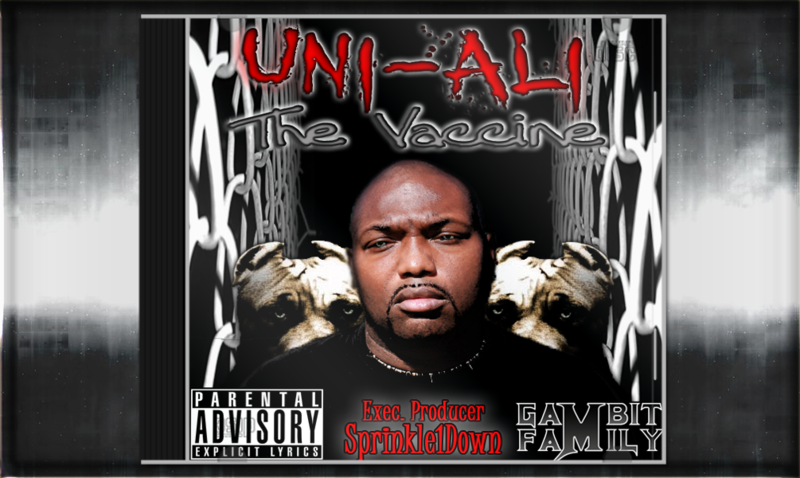 Uni-Ali’s release prior to his branding of Gambit Family.. “The Vaccine” takes you back Uni’s roots his gritty snarl over thudding production combined with his picture perfect delivery (no pun intended). The project was recorded over a 2 year span during his tenure as a Rivah $ity Rydah. The most notable aspect of his album is the amount of high quality features on the project, such as Gambit Family Members, Ala-Mob members, and even Jungle Baby make apperances on this legendary project. Uni approached many sub-genres of music while maintaining his gritty an violent style his fan base has grown to love. Uni once again delivers a SOLID project… get it while it’s HOT! Posted by Adminstrator in Solo on February 12th, 2014. This post has Comments Off on Uni Ali: The Vaccine.